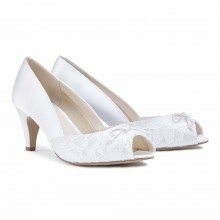 Dariela Wide Fit is a mid heel bridal shoe. Heel height 6.5 cm with open toe. Lace over ivory satin. Comfort padded insole and lining are standard making this shoe perfect for all day comfort, all day wear. 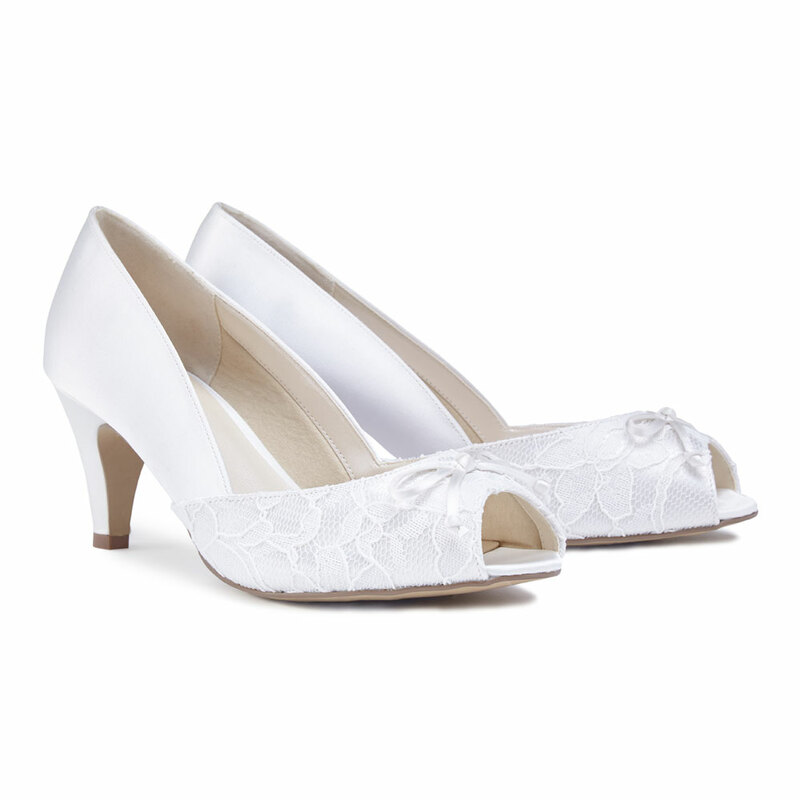 Click the button below to add the Dariela Dyeable Bridal Shoes by Pink Paradox to your wish list.